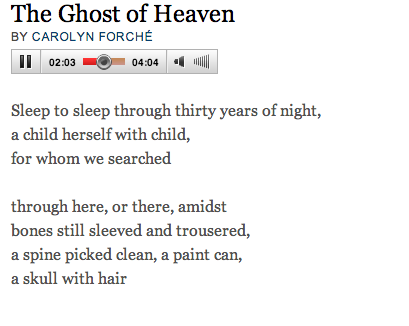 Listen to Carolyn Forché read her chilling poem “The Ghost of Heaven” by clicking the image below. Forché will be visiting us on FRIDAY at 7pm at Concordia University’s Hall Building (H-767). See you soon!